Bruce Moen received his original training from the Monroe Instituteand attended many of their programs including their "Lifeline" program. Bruce is the author of four wonderful books that I urge you to read. These are: “Voyages into the Unknown”, “Voyage beyond Doubt”, “Voyages into The Afterlife“ & “Voyage to Curiosity’s Father”. These books make up the current four volumes of the Exploring the Afterlife Series. As their titles suggest, these books are the experiences of Bruce's numerous voyages of discovery in the Afterlife. Each one of these books is a fascinating read, an invaluable handbook of Afterlife research. Bruce also gives remarkable workshops entitled "Exploring the Afterlife". He claims that he can teach almost anyone to explore the Afterlife & get concrete verification that their experiences are real. Participants learn how to make contact with those who have died and can help those who have become "stuck" move on....all without the use of technology. Amazingly, no prior experience or advanced psychic ability are required....just the ability to imagine. Bruce teaches these amazing abilities in only two days. His workshop includes exercises in breathing, relaxation, placing intent, ability to perceive in nonphysical realities and how to make contact with those who have passed over, amongst many other things. As Bruce says, the doorway to perceiving in nonphysical realities is through using the power of the imagination. Normally, we may associate our imagination with fantasy. However, this is not always the case. In the nonphysical States of existence anything that we can imagine is immediately created. Therefore, by the correct use of the imagination we have in our possession an extremely potent means of creation. Whatever we imagine, if we imagine it clearly enough with lots of emotional force or intent, then at some point in the future we draw into our environment that which we have created through our imagination. Belief is also a very potent tool if used in the correct way. It is a reality of life, that what we believe strongly about ourselves actually moulds our reality. Through using this power of imagination, by visualising what we need together with a strong intention to bring it into our lives, at some point in the future, what we have imagined will manifest. There are numerous books on the power of creative visualisation available in almost every bookshop. Although using this method to create the reality we want in this physical world takes time, in the nonphysical the realms, what we create with our minds manifests immediately in those nonphysical realms. Many people have heard the expression Energy follows thought. This is quite correct and applies to both physical and nonphysical realms of existence. Imagination, being such a creative force, can also enable us to perceive in the nonphysical worlds or Afterlife. 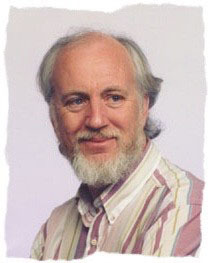 Bruce also teaches techniques to enable verification of the reality of those nonphysical experiences.